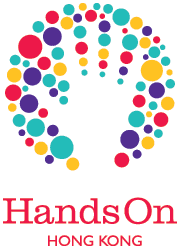 HandsOn Hong Kong (HOHK) strives to serve its volunteer members by offering quality, flexible volunteer opportunities throughout the community. Its contribution to its charity partners and the HK community depends largely on the involvement, commitment, and professionalism of each of its volunteer members. HOHK proudly offers its membership to individual members and charity partners for free. In return, and as a valued member of the HOHK network, we simply ask that you review and adhere to our policy as a condition of your membership of HOHK. A. By registering with HOHK, you agree not to use its web site, volunteer activities, or any of its other services to: (i) violate any local, state, national or international law; (ii) stalk, harass or harm another individual; (iii) collect or store personal data about other users; (iv) impersonate any person or entity, or otherwise misrepresent your affiliation with a person or entity; and (v) interfere with or disrupt the services or servers or networks connected to HOHK, or disobey any requirements, procedures, policies or regulations of copy, sell, resell exploit for any commercial purposes, any portion of HOHK and its services. B. HOHK asks that you act responsibly as a registered member of its network and take your role as a volunteer seriously. Your participation in an HOHK volunteer activity that you have signed up for is extremely important. Each HOHK volunteer activity has availability for only a limited number of volunteers to participate. This means that HOHK and its charity partners rely on each volunteer to show up on the day of the activity to ensure that the activity is successful. Further, because volunteer spots on each activity are limited, this means that volunteer activities fill up quickly and typically have a waiting list of volunteers. Volunteers who fail to show up to an activity or fail to cancel in advance can hurt the success of an activity, prevent available “waitlisted” volunteers from participating in a given activity, and damage the reputation of HOHK volunteers amongst its charity partners. C. While HOHK understands that the schedules and availability of its volunteers may change, HOHK asks that as a member of HOHK, you agree to (i.) sign up only for those volunteer activities that fit your schedule and which you are certain you are available to attend; (ii.) email or call HOHK or the HOHK Volunteer Leader within 48 hours of a volunteer activity (or as soon as possible), should be unable to attend an activity for which you have already signed up; (iii.) conduct yourself in a courteous and professional manner at all times at any HOHK sponsored or supported volunteer activity or other event. D. If you do not hold a Hong Kong Permanent ID card, please refer to your Hong Kong visa and the Hong Kong Immigration Department for steps that need to be taken in order to volunteer. This may include, amongst other things, notifying the Immigration Department of your desire to volunteer, for example, on an unpaid basis for a couple of hours each month, or as appropriate. By registering with HOHK, you are providing us with personal data, as defined by the Personal Data (Privacy) Ordinance (PDPO). HOHK values your privacy and will only use your personal data in accordance with the provisions of the PDPO. The purposes for which your personal data are collected include (i) the offering of volunteer activities by newsletter, website and email, (ii) the organisation of volunteer activities and contacting you, where necessary, in regards to volunteer activities, (iii) assessing volunteer interest in particular volunteer activities, both current and proposed, (iv) any other purpose relating to these purposes and for the provision of volunteer opportunities to our registered volunteers. HOHK respects your privacy and will only share your personal data, where necessary, with (i) our affiliates for the purposes specified above, (ii) any agent, contractor or third party service provider who provides administrative, computer, telecommunication, data processing or storage, or other services to us or our affiliates in connection with the operation of HOHK and the services we provide to volunteers, (iii) any person under a duty of confidentiality to us or our affiliates who has undertaken to keep such personal data confidential, (iv) any person to whom we or our affiliates are under an obligation to make disclosure as required by law. Should you ever have any questions or concerns regarding a charity that HOHK partners with or supports or a volunteer activity sponsored or supported by HOHK that you wish to raise, HOHK will keep your name confidential in the exploration of such matters. You understand that to the extent permitted under applicable law, in no event will HandsOn Hong Kong (legally registered under "HandsOn Hong Kong Ltd.") or its officers, employees, directors or affiliates be liable for any direct or indirect damages resulting from your use of, access to, or involvement with HandsOn Hong Kong. You agree to indemnify, defend and hold harmless HandsOn Hong Kong, its affiliates, officers, directors or employees from and against any and all third-party claims, liabilities, damages, losses, costs, expenses, fees (including reasonable attorneys' fees and court costs) that such parties may incur as a result of or arising from (i.) the content supplied by you and any information you (or anyone accessing HandsOn Hong Kong and its services acting as you) submit, post or transmit through HOHK, (ii.) your use of HOHK services, (iii.) your violation of these Terms, (iv.) your (or anyone using your registration/membership information) violation of any rights of any other person or entity or (v.) any viruses, trojan horses, worms, time bombs, cancelbots or other similar harmful or deleterious programming routines input by you into the HOHK web site or other services. HOHK reserves the right to modify or vary any of the terms and conditions at any time. Your continuous use of the Site after the posting of such notice will constitute your acceptance to the variation or modification as mentioned therein. HOHK volunteers who fail to adhere to any of the above may be suspended from involvement in HOHK and its volunteer activities on a temporary or permanent basis.